BHAIRAHAWA, Jan 29: Bhairahawa Customs Office missed revenue target in the first half of the current fiscal year. The office collected only Rs 33 billion in the first half of Fiscal Year 2017/18 i.e. till mid-January, which is 12 percent less than the target of Rs 37.46 billion set by the government. The annual target for the office for FY 2017/18 is Rs 81.43 billion. However, the poor performance in revenue mobilization in the first half of FY 2017/18 suggests that the office is likely to miss the annual revenue target. The office had collected Rs 34.18 billion in the first half of FY 2016/17. 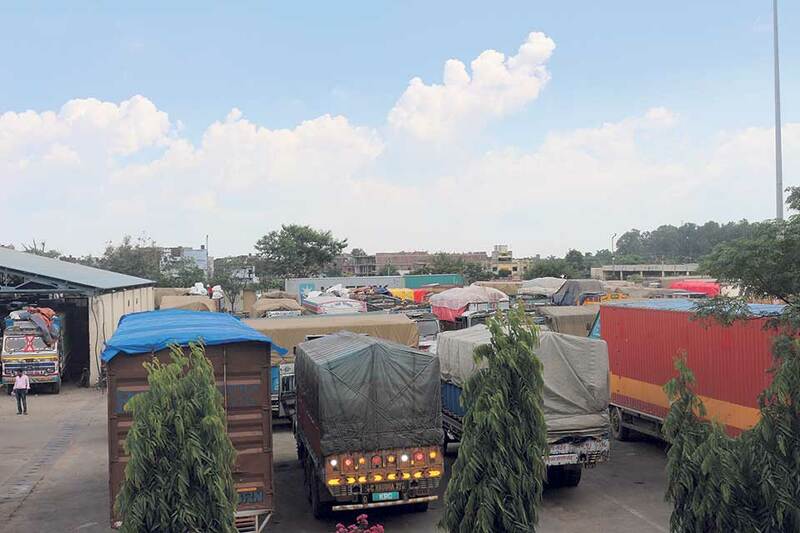 Officials of Bhairahawa Customs Office said that revenue collection slowed mainly due to drop in vehicle imports through the customs office. “Import of passenger vehicles like jeep, car, and van would contribute significant share of revenue collection. Drop in vehicle imports affected revenue mobilization in the first half of FY 2017/18,” Kaliram Poudel, an information officer with the Bhairahawa Customs Office, told Republica. The office collected Rs 13.45 billion as customs duty, Rs 12.45 billion as Value Added Tax (VAT), and Rs 7.12 billion as excise duty in the review period, data shows. The office could meet the monthly target only in the Ashwin (mid-September to mid-October). 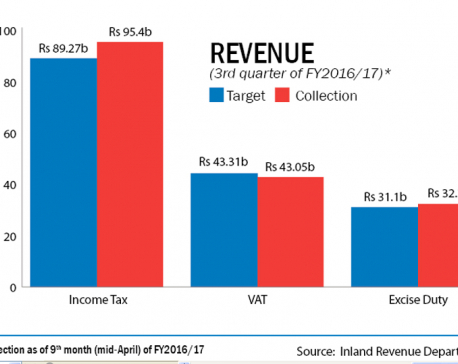 In the month, revenue collection surpassed the target by 12.89 percent. However, in the first, second, fourth, fifth and sixth month of FY 2017/18, revenue collection missed the target by 8.59, 5.67, 18.55, 23.67, and 23.53 percent, respectively. Export through the customs office has already remained lower than imports. Officials, however, say that exports through the customs points increased in the first half of the current fiscal year. Vehicles, petroleum products and clinker were the major import products through the first half of FY 2017/18, while ginger (including dried), food grains, medicinal herbs and synthetic yarn were the top exports, data shows.